PORTLAND, ME. 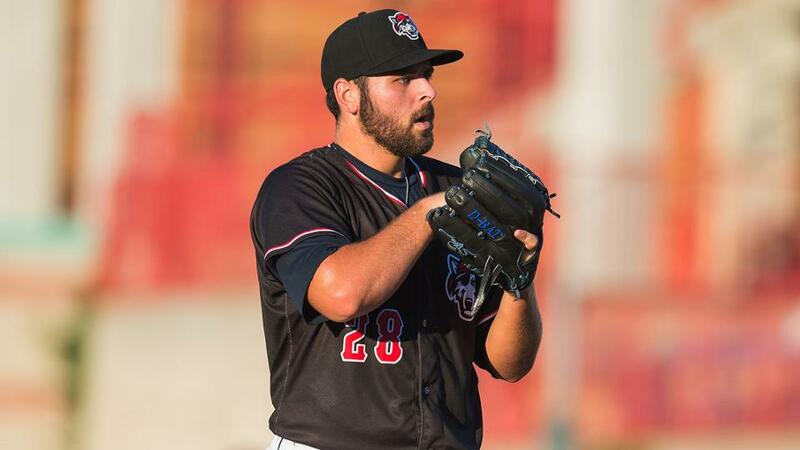 -- The Eastern League of Professional Baseball is pleased to announce that right-handed starting pitcher Michael Fulmer, who is currently a member of the Erie SeaWolves and also spent time with the Binghamton Mets this season, has been selected as the 2015 Eastern League Pitcher of the Year. Fulmer has combined for a record of 10-3 with 112 strikeouts and a 2.06 ERA in 20 starts between Erie and Binghamton this season. The 22-year old made his season debut for Binghamton on May 3 after receiving a promotion from Class A Advanced St. Lucie. Fulmer went on to start 15 games for the B-Mets and posted a record of 6-2 with 83 strikeouts and a 1.88 ERA over 86 innings pitched. On July 31, Michael was included in a trade to the Detroit Tigers for outfielder Yoenis Cespedes and was assigned to Erie. In five starts with the SeaWolves Fulmer has a record of 4-1 with 29 strikeouts and a 2.06 ERA. He has not allowed an earned run in nine of his starts this season and he has given up three runs or less in 18 of his 20 starts. Michael was especially impressive during stretch from July 22-Aug. 9 in which he went four consecutive starts without allowing a run. During that four start stretch he struck out 29 batters while surrendering just 16 hits and four walks over 23.2 innings. Fulmer, who is a native of Oklahoma City, Oklahoma, currently leads all Eastern League starting pitchers in strikeouts per nine innings (8.87). He also ranks among the league leaders in ERA (2.08-2nd), batting average against (.227-4th), WHIP (1.10-5th), wins (10-tied 5th) and strikeouts (112-tied 6th). In addition to winning this award the 6-foot-3, 200-pound hurler was also selected as the right-handed starting pitcher on the Eastern League All-Star Team and was the winner of the Eastern League Pitcher of the Week Award for the period of Aug. 3-9. Michael, who is rated by MLB.com as the fourth best prospect in the Detroit organization, was originally selected by the New York Mets with the 44th overall pick in the first round of the 2011 Draft out of Deer Creek High School in Edmond, Oklahoma. Bowie right-handed starter Terry Doyle finished second in the voting for the award and Reading right-handed reliever Stephen Shackleford finished in third place. This award was voted on by Eastern League managers and coaches and members of the media.